We will be delighted to hear from you. Do not hesitate to contact us, using this form. 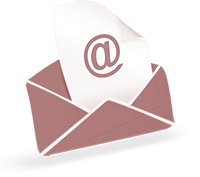 Just include your name, your e-mail address and the text of your message. We will answer you as soon as possible.